Nasa's Cassini Spacecraft to End 20-year Mission by Crashing into Saturn. Everything you Need to Know. For the last two decades, NASA’s Cassini spacecraft has afforded us a better understanding of our Solar System. Through it all, its main mission has been to study the gas giant Saturn, its ring system, and the icy moons. In the process, Cassini spacecraft has given us a staggering amount of data, with thousands of mesmerising pictures to boot. On Saturday though, the space probe entered the last stages of its life cycle, embarking on a new journey that will end with Cassini flying into Saturn. The journey will end with the spacecraft heading into Saturn's atmosphere and burning up like a meteor. This final stage of Cassini’s journey is being called the ‘Grand Finale’ by NASA scientists, in the hope of what they plan to achieve over the next few months. The destruction of Cassini spacecraft is an intentional move, because it’s running low on fuel, which means NASA will lose control of it soon. 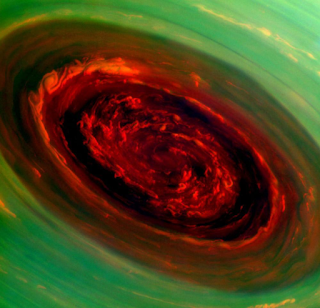 In a scenario like that, Cassini might end up on a path that could have undesirable consequences. 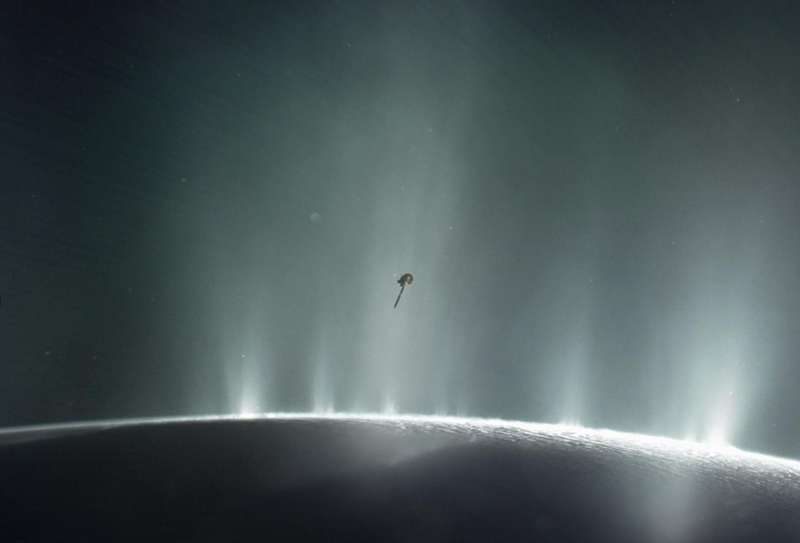 Thanks to the craft, we know that two of Saturn’s moons – Enceladus and Titan – have methane on their surface, which could be a sign of alien life. If the Cassini spacecraft were to crash into either of them, it could potentially contaminate what is native to those systems. 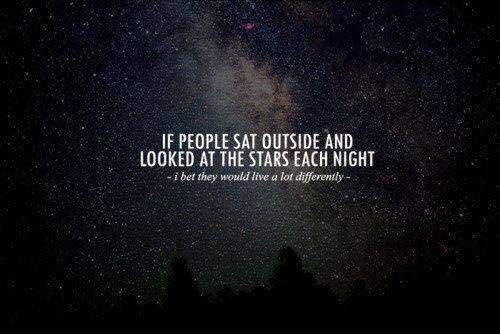 That’s why the safest thing to do is to crash Cassini into Saturn itself, where it will burn and break into pieces. Before that happens mid-September, Cassini will perform a series of 22 weekly dives – one trip taking about a week – between Saturn and its rings, giving us an unprecedented look of the 2,400km-wide region. The spacecraft’s final mission began earlier on Saturday, with a final fly-by of Titan. During its ‘Grand Finale’, Cassini will be just 2,950km from the planet’s atmosphere. As it does so, it will send beam tons of data back to Earth, right until it burns up. That will include detailed maps of Saturn's gravity and magnetic fields, how much material is in Saturn’s rings, and ultimately the composition of its atmosphere. Along the way, the Cassini spacecraft will continue to send richly detailed images of the planet’s rings and clouds. It’s truly a grand end to the spacecraft’s two-decade journey in space, which has made us all wiser about the world we inhabit. Cassini was launched in October 1997, and spent seven years travelling through space before entering orbit around Saturn in July 2004. To get there faster, Cassini’s route took it from Earth to Venus where it arrived in April 1998. The probe performed two fly-bys of Venus, and passed Earth again on its way to the asteroid belt. In December 2000, the Cassini spacecraft made its closest approach of our system’s biggest planet, Jupiter, which cleared up a few mysteries. After arriving at Saturn, for the last 13 years, Cassini has discovered seven new moons orbiting the gas giant. The two most important ones, as mentioned previously, have been Enceladus and Titan. The latter was a big reason for Cassini spacecraft to be launched in the first place, as it carried a lander called Huygens that was built by the European Space Agency (ESA). 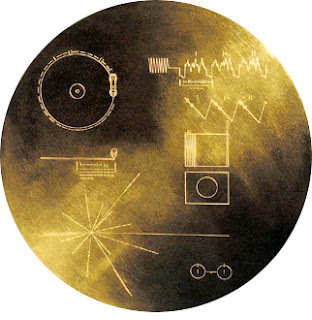 When Huygens landed on Titan in January 2005, it became the furthest landing from Earth a probe had ever made. 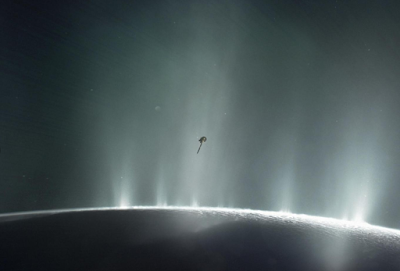 Shortly after, Cassini flew by Enceladus, and sent back data that pointed towards a “thin but significant atmosphere”, and water ice geysers erupting at its south pole. 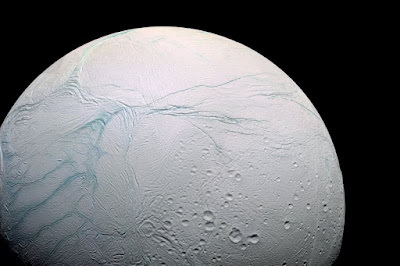 Over the years, the spacecraft would return to Enceladus, and revealed a liquid ocean underneath its surface, plus hot spots on the ocean floor, which are strong signs of alien life. The reasons for giving Cassini’s final leg such importance comes from the fact that it’s about to explore a region we don’t know much about – the 2,400km-wide area between Saturn and its rings. Even NASA isn’t sure what we’ll find, and there’s every chance that a large enough particle could spell early demise for the Cassini spacecraft. But if things go well, scientists hope to solve mysteries that have plagued them for years, such as the mass of Saturn’s rings and the planet’s rotation rate, which in turn will tell us the length of a Saturn day. The first crossing begins on April 26 at 2:30pm IST (9am UTC), for which Google has seen fit to crown the occasion with a doodle. The probe will be out of Earth’s contact while it collects data, and will only beam after it exits the ringed system. NASA won’t have it before 1pm on April 27, though. If everything goes well, the Cassini spacecraft will repeat the same orbit all over again, 21 more times. Starting August 10, the spacecraft will slightly alter its course for the final five orbits, to allow it to sample Saturn’s atmosphere for the first time in the history of humanity. The first of those will take place on August 14, and once every week thereafter, until September 15 – the day it crashes into Saturn itself. NASA expects that by the fifth trip, Saturn’s gravitational pull – with added push from nearby Titan – will be too much for Cassini. That doesn’t happen for another five months, and we’ll no doubt learn a lot between now and then. Moreover, the amount of data Cassini sends will keep scientists occupied for years to come, so there will be no shortage of additional information. The spacecraft has not only revealed the beauty of Saturn, its rings, and moons, over the last two decades, but made us rethink what life-capable worlds can look like, and greatly expanded our knowledge back home.